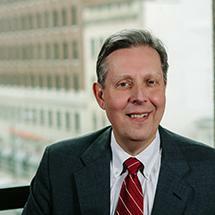 Richard A. Talda has been practicing law for 30+ years serving as lead trial counsel in litigation and arbitrations. Rick has personally managed and tried Federal and State Court bench and jury trials, private arbitrations and administrative proceedings before various professional and industry regulatory boards. Rick also serves as Chairman of the Firm's Litigation Department where he manages client service and professional development of Firm attorneys serving clients in adversarial matters. Rick also leads the Firm's business development initiatives. - International M&A transaction arbitration (JAMS) - Represented Seller in contest proceedings concerning post closing purchase price adjustments. Recovered escrow of $17.5 million for Seller. - Federal Court judgment for copyright infringement concerning consumer goods catalogs. Authored legal interest articles for The Dayton Business Journal, Columbus Business First, The Columbus Daily Reporter, The Columbus Dispatch, as well as Dayton and Columbus Bar Association publications.